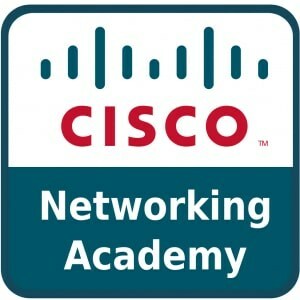 HBAS has partnered with the Cisco Networking Academy to provide hands-on, cutting edge instruction to our students. HBAS now offers all four courses in this series, which will prepare students for the CCENT certification (Cisco Certified Entry Networking Technician). The IT field is growing, and opportunities for well-paying jobs are going nowhere but up. The CISCO Academy prepares students to go straight into an IT job, or gain higher level training at local community colleges. This curriculum is a gateway to entry-level networking jobs and IT careers. Financial Assistance Available! In this introductory course, students will be able to build simple LANs, perform basic configurations of routers and switches, and implement IP addressing schemes. This course will prepare students for their CCENT certification and is the first in a series of courses providing preparation for students seeking the Cisco CCNA Certification, which are offered at various local community colleges. This is a 2 session course and there is an emphasis on hands-on training. Students will learn to install, configure, customize, maintain and troubleshoot Cisco routers utilizing Advanced Internet Protocol (IP) addressing techniques, Variable Length Subnet Masking (VLSM), distance vectored and Link State dynamic routing protocols, Routing Protocol (EIGRP), Single-area Open Shortest Path First (OSPF), and understanding the structure and behavior of routing tables. Preparation for Cisco certification examination. Prerequisites: Completion of IT Essentials, CCNA 1 or permission of Instructor. CCNA R&S: Scaling Networks (ScaN) covers the architecture, components, and operations of routers and switches in larger and more complex networks. Students learn how to configure routers and switches for advanced functionality. The course includes activities using Packet Tracer, hands-on lab work, and a wide array of assessment types and tools. Prerequisites: CCNA 1 and CCNA 2 or equivalent experience. CCNA R&S: Connecting Networks (CN) discusses the WAN technologies and network services required by converged applications in a complex network. The course enables students to understand the selection criteria of network devices and WAN technologies to meet network requirements. Prerequisites: CCNA 1, CCNA 2, and CCNA 3 or equivalent experience. The CCNA Security course provides a next step for individuals who want to enhance their CCENT-level skill set and help meet the growing demand for network security professionals. The CCNA Security curriculum provides an introduction to the core security concepts and skills needed for the installation, troubleshooting, and monitoring of network devices to maintain the integrity, confidentiality, and availability of data and devices. Prerequisite: CCNA 1 and CCNA 2. The Cybersecurity Essentials course develops foundational understanding of cybersecurity and how it relates to information and network security. 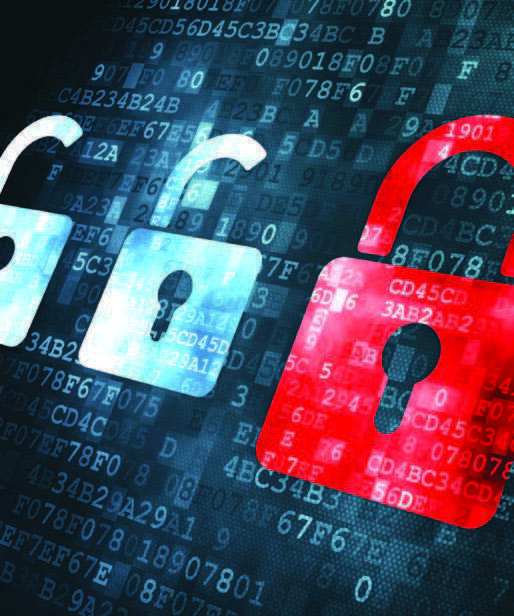 The 30-hour course introduces students to characteristics of cyber crime, security principles, technologies, and procedures to defend networks. Through interactive, multimedia content, lab activities, and multi-industry case studies, students build technical and professional skills to pursue careers in cybersecurity. The 30-hour curriculum may be used as a supplement to an existing course or as a short course. Instructors can create a course, enroll students, teach and guide them through the course content, material and activities. Prerequisites: Recommended Introduction to Cybersecurity. This CCNA R&S Boot Camp is a comprehensive exam preparation course for the CCNA certification that will cover topics in the new CCNA 200-125 exam. The focus is on providing the information and tools needed to pass the CCNA Certification exam. Course features include background information on the exams, a look into common mistakes and misunderstandings people make when taking the exams and practice exams with sample questions. With this course you will see firsthand the types of questions you’ll encounter in the testing facility. Lab equipment is also available to practice the important hands on portion of the exam.